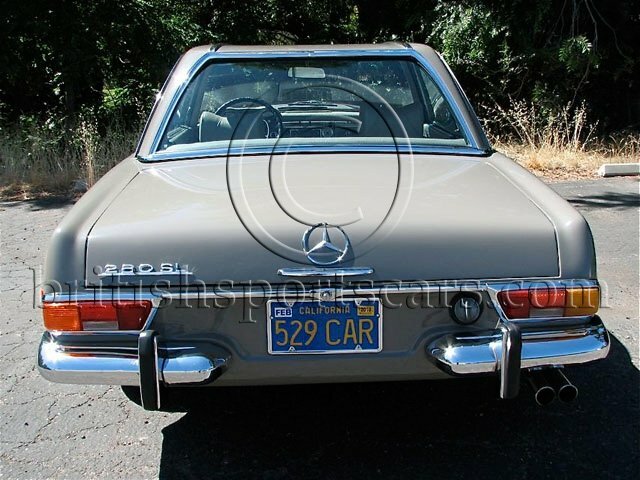 You are looking at the nicest Mercedes 280 SL we have seen in many years. This car was bought new in Germany for export to California. It has lived its entire life hear in California. We have all of the paperwork from new showing that this was to be sold in Germany and shipped to California. The German plate you see is an exact replica of the plate issued to the car in Germany. The car has both of its original California blue plates. The paint and body are very nice and show no signs of any rust or previous body damage. All of the gaps are excellent. The interior is in almost new condition showing very little wear. The engine runs excellent and is very smooth. The engine bay is very clean. Everything is in working order including the A/C. You really need to see this car in person to appreciate how nice and well cared for this vehicle is. The car is very well maintained and needs nothing.